Hello there, dear readers. I’m happy you could make it here today. As a reward for your presence, I present you with another in my ongoing series of “Exemplary Codgers”: My personal hero, Dr. C. Everett Koop. Dr. Koop may be known to most of you these days as the stern, reassuring figure starring in the Life Alert bracelet commercial, but did you know that he was once the U.S. Surgeon General? It’s true. He was the Surgeon General from 1982 through 1989. During those days, he brought the codger agenda to the masses through his appearance, which included an Amish-style beard, bowtie, “traditional” glasses, and oftentimes the official Surgeon General uniform with full military decoration. Too many people associate the Surgeon General with slapping warnings on everything left and right, but Dr. Koop was not that kind of Surgeon General. Not by a long-shot. He made it seem like fun, what with his uniform and all, so when he made them put the Surgeon General’s warning on cigarette packages, it seemed like less of a warning and more of a friendly gesture. He also advocated for the right to life, something very important to we senior citizens in this day and age when younger people are always trying to limit our activities and put us in homes. We deserve to live a full life. Dr. Koop also created the old Web site http://www.drkoop.com, which used to be a wellspring of good medical advice. 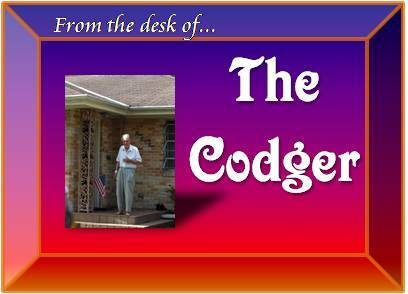 I remember that it was one of the first Web sites I would visit regularly when I got on the Internet a few years back. One day, people complained that some of the information on http://www.drkoop.com was actually paid advertisements in disguise (I always found it to be a perfect 50-50 balance between advice and advertising), so it got taken down and replaced with a different Web site. Dr. Koop’s current official site now appears to be on the Wikipedia encyclopedia–though it now has more information about his biography than about medical advice. But it was very helpful in refreshing my memory about Dr. Koop’s distinguished career so I could write this article. WebMD is now what I use to get my medical advice. It’s good, but I miss having that more personal online relationship with a particular doctor. 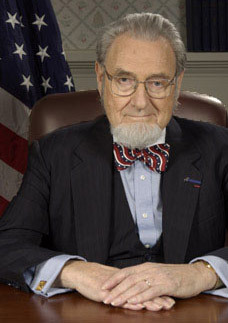 When people used to ask me who my doctor was, I felt confident telling them that it was Dr. C. Everett Koop.